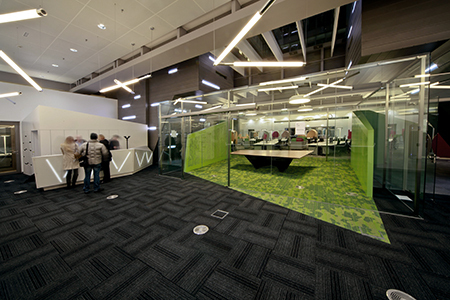 Designing Der Standard's new newsroom is based on the idea of fluidity and focal point, which is integrated in the layout throught the recognisable space design on the organisational level, upgraded with furniture design and colour system throughout the whole office space. 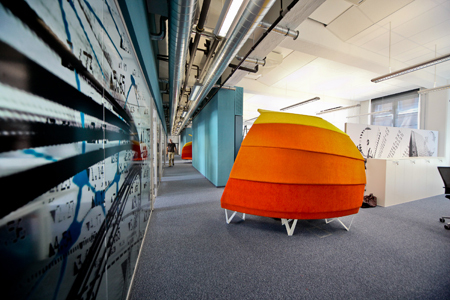 Graphics added into the space of SUPERFIT training center breaks the monotony of prefabricated architecture and lifts up motivation during training. 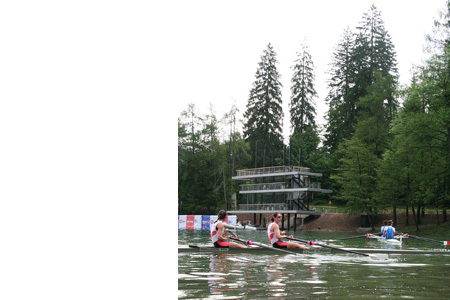 Project ROWING CENTER BLED was awarded with PLECNIK MEDAL 2012. 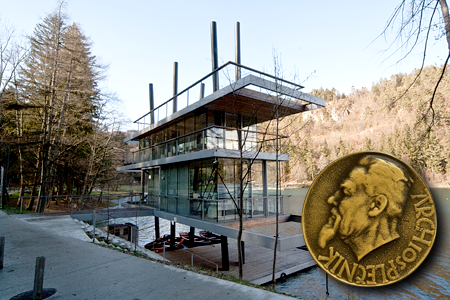 Plecnik medal is a public recognition of outstanding creations in the fields of architecture, urban planning, landscape architecture and interior design, representing quality architectural realizations by Slovenian authors. 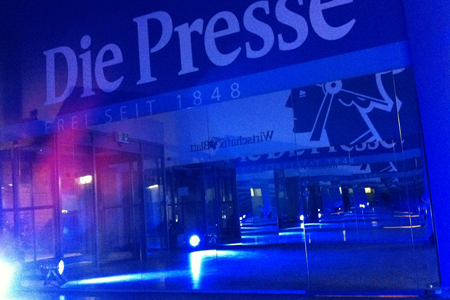 Visual expansion was created in lobby design for austrian papers Die Presse and WirtschaftsBlatt in office building at Hainburgerstrasse in Wien. The graphic elements represent the iconised contents of WirtschaftsBlatt with the typical identification elements of Vienna and Austria.